Gazprom chief Alexei Miller said that transit of Russian gas through Ukraine will be reduced by as much as five-fold. Nord Stream 2 will also help lower the cost of transporting natural gas to Europe by 20 percent. Russia's natural gas giant, Gazprom, announced that it will begin to gradually reduce exports to Europe via Ukraine's pipeline system and that a new pipeline, Nord Stream 2, will be operational by 2030. 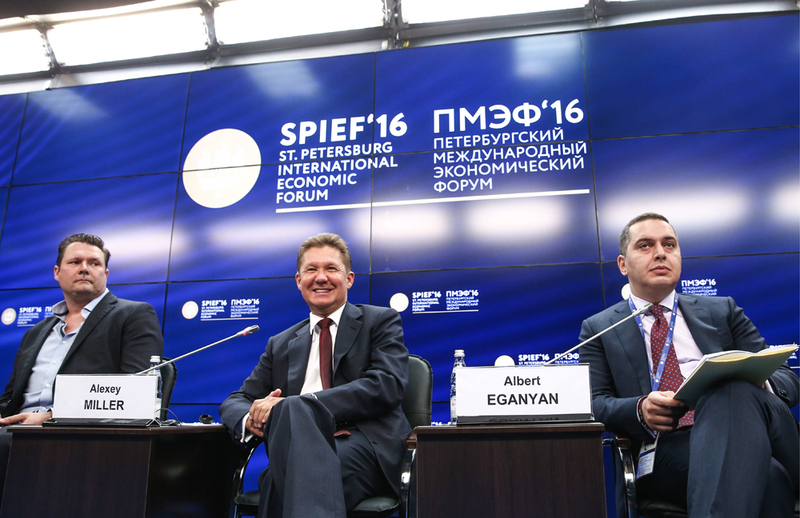 On June 16 during the St. Petersburg International Economic Forum, Gazprom chief Alexei Miller said that transit of Russian gas through Ukraine will be reduced by as much as five-fold. In 2015, half of Russia's 125 billion cubic meters of gas exports to Europe went via Ukraine, according to Rystad Energy. This means that gas exports through Ukraine will drop by 10-15 billion cubic meters annually. The Ukrainian route will be replaced with the Nord Stream 2 pipeline, which will have a capacity of 55 billion cubic meters per year. This pipeline will work closely with the current Nord Stream pipeline. When Nord Stream 2 is completed, it will help Gazprom completely cease gas transit through Ukraine, said Rystad Energy. Gazprom stressed several main advantages of Nord Stream 2. According to Miller, the transit of Russian gas through the northern corridor will cost 20 percent less than through Ukraine. Over 25 years the transit volumes forecasted for Nord Stream 2 at a price of $2.1 per thousand cubic meters will provide Gazprom with after-tax dividends of $7 billion dollars, while the project's European shareholders will receive dividends of $7.3 billion. Miller expects that the overall share of Russian gas in Europe's energy market will grow. This will primarily be the result of the European Union's reduction in hydrocarbon production.